By State and Federal law, your cat does need to stay with us in strict radioactive isolation for approximately one week. During the time of your pet's isolation, Weare Animal Hospital you'll be able to "virtually" visit your pet through our streaming webcam. 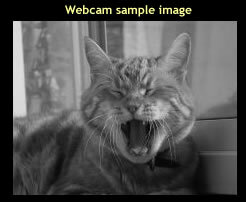 Our Web Cam provides you with inside snapshots of your pet, updated every 3 seconds while in operation. You can log in to the webcam with a unique username and password and "visit" your pet whenever you like. Please click here if your pet is in treatment room #1. Please click here if your pet is in treatroom room #2. Please click here if your pet is in treatroom room #3. Please click here if your pet is in treatment room #4. Please click here if your pet is in treatroom room #5. Please click here if your pet is in treatroom room #6. 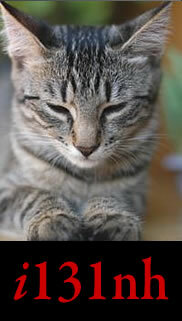 You will be prompted to enter the username and password given to you at the hospital for your pet's webcam. If you do not have an ActiveX Control installed on your computer, you will be prompted to download the free control from Microsoft. Once you've installed ActiveX, you'll be able to view the webcam.